Angela & Roi: Handbags With A Purpose. Nothing excites me more about fashion than fashion for a cause. Angela & Roi is an online handbag company, created by couple Angela and Roi Lee, looking to raise awareness through fashion. 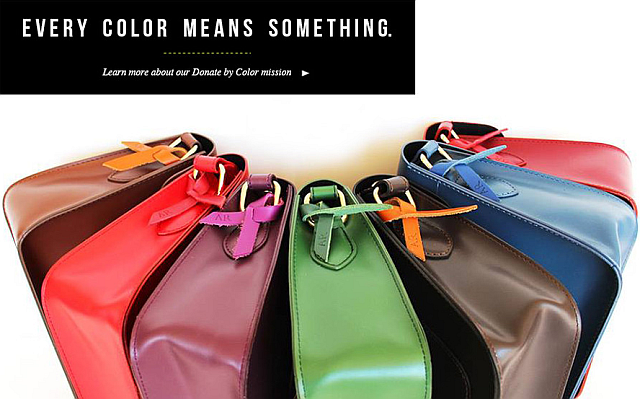 Their Donate By Color mission links the color of a handbag to a specific cause. When a bag gets sold, $5 of that sale gets donated to the non-profit organization which corresponds with that color. Stylish handbags with a purpose.. does it get any better than this?? 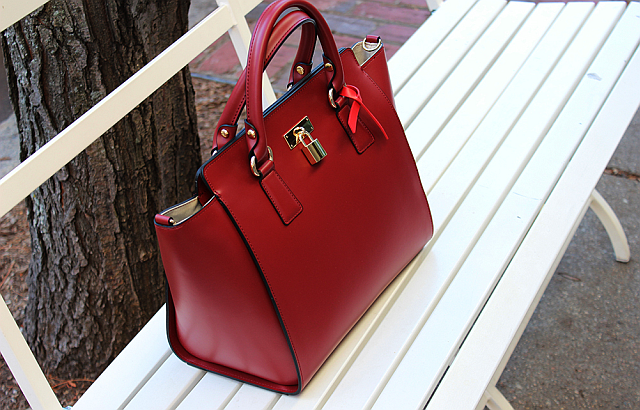 Along with your bag, you will receive a detachable colored ribbon associated with the specific cause to help raise awareness while looking absolutely chic. Made from high quality vegan leather and durable fabrics, these handbags were designed with a classic and minimalist look in mind which means they will never go out of style. I am absolutely in love with the mission behind this company and the fact that you can look amazing while supporting a great cause. What are your thoughts on Angela & Roi handbags? Beautiful bags and even better message behind them. Amazing post! I really enjoy your blog so far and would love to follow each other--please join my GFC and I'll follow you right back! DARING COCO'S 2ND BIRTHDAY GIVEAWAY - WIN A $200 GIFT CARD TO NET-A-PORTER OR SHOPBOP! yes, definitely worth checking out! I love company like this. Not only the bag that is beautiful but the purpose is also. Beautiful bags, i always enjoy coming back to your blog, thanks for delighting us with your experience!